Major Rajesh Singh Adhikari was born in Tallital in Nainital, a scenic hill spot in the state of Uttarakhand. He did his schooling from St. Joseph’s College, Nainital in the year 1987, middle school from Government Inter College and B.Sc. from Kumaon University in 1992. Maj Adhikari always wanted to be an army officer and his dream came true when he got selected to join the Indian Military Academy. 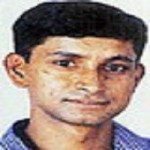 On 11 December 1993, Major Rajesh at the age of 23 years got commissioned into 2 Mech Inf also known as 1 Jat(LI). After serving for 5 years in various operational areas Maj Adhikari got married in 1998 to Kiran Negi, and was to celebrate his first wedding anniversary on June 9. During the Kargil war, Maj Adhikari’s unit was deployed in J & K and played a vital role in the initial phase of the war. During the war, Maj Adhikari received a letter from his wife, kiran when he was at Tololing at 16,000 feet. He stuffed it in his pocket saying,” I will read it in peace tomorrow after the operation is finished.” But unfortunately, he never got a chance to read that letter. He also had a sister, Mamata. When heavy fighting broke out in the Kargil region of the Indian state of Jammu and Kashmir owing to planned infiltration by militants backed by the Pakistan army, the Indian Army was ordered to clear the heights of those intruders. The first major operation was undertaken by the soldiers who launched an offensive on Tololing to rid the area of intruders. The soldiers had been ordered to attack the enemy following the launch of Operation Vijay on May 25, after Lieutenant Saurabh Kalia, on patrol duty in the area, was declared missing. On 30 May 1999, as a part of battalion operations to capture the Tololing feature, Major Rajesh Singh Adhikari on attachment to 18 Grenadiers was tasked to secure the initial foothold by capturing its forward post where the enemy held a strongly fortified advance position. The post was located in a treacherous, mountainous terrain at about 15,000 feet and covered with snow. That night he and a 10-man Grenadiers team began climbing towards their fortified objective with picks and axes. A sniper fire killed a JCO and when the temperature dropped to six below freezing, the mission was called off. Maj Adhikari was leading the central arm of three 10-man teams trying to capture a bunker. Maj Adhikari led the central charge, three metres ahead of his men. 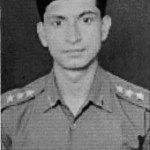 The bunker fell, but Maj Adhikari was shot, 20 m short of his objective. He was fired at from two mutually supporting bunkers with universal machine guns. The officer immediately directed the rocket launcher detachment to engage the bunker and without waiting, rushed into the bunker and killed two intruders in close quarter combat. Thereafter, the officer, displaying presence of mind under heavy fire, ordered his medium machine gun (MMG) detachment to fix position behind a rocky feature and engage the enemy. The assault party continued to inch their way up. 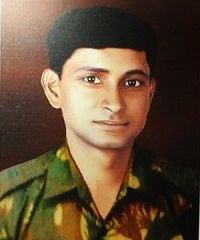 Despite suffering grievous bullet injuries, Major Rajesh Singh Adhikari continued to direct his sub unit. Refusing to be evacuated, the officer charged at the second bunker and killed one more occupant, thus capturing the second bunker at Tololing which later facilitated capture of Point 4590. Major Rajesh Singh Adhikari, had caused heavy casualties to the intruders and forced them to withdraw before succumbing to injuries in Drass sector. The Battle of Tololing was one of the most significant battles, where Maj Adhikari fought valiantly and achieved the objective at the cost of his life. For conspicuous gallantry and supreme sacrifice, Major Rajesh Singh Adhikari was posthumously awarded the nation’s second highest gallantry award, Maha Vir Chakra. A college in Nainital has been named after him as Shaheed Major Rajesh Singh Adhikari Rajkiya inter college . 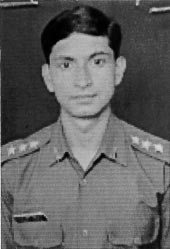 Maj Adhikari was commissioned in 2 Mech Inf (1Jat Li).Was on attachment with Grenadiers. You will never be forgotten and always be Saluted for your Conspicuous Bravery, Indomitable Courage and Supreme Sacrifice.